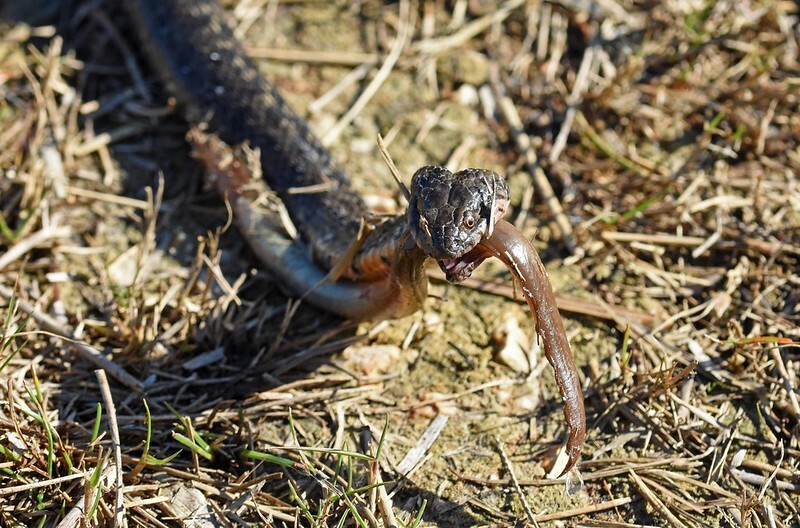 fieldherping.eu • View topic - Spain - Andalucia and beyond. 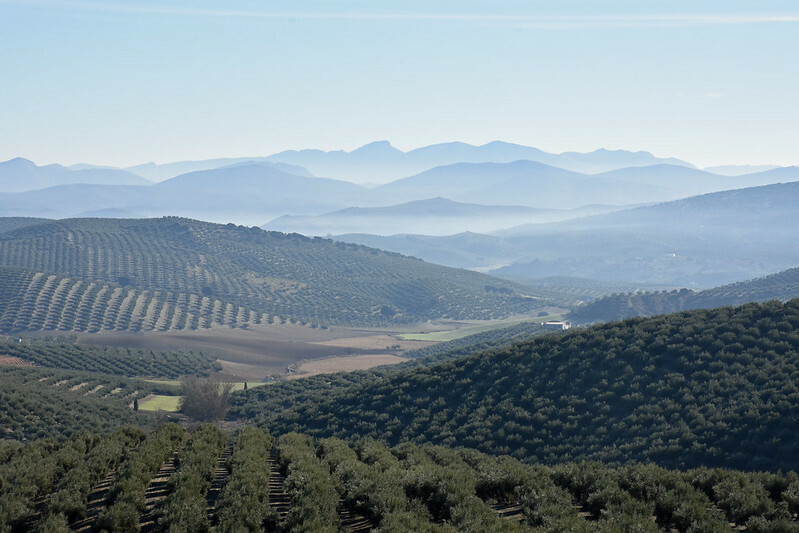 Spain - Andalucia and beyond. 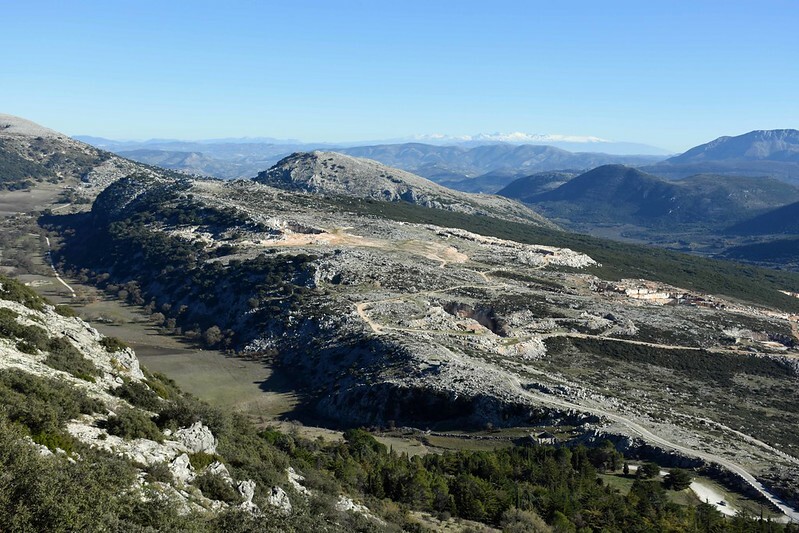 Re: Spain - Andalucia and beyond. 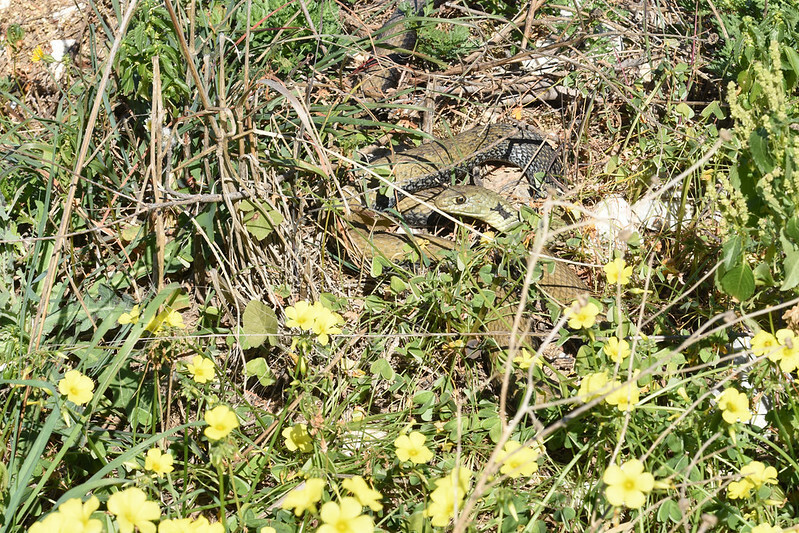 After finding the trapped Montpellier Snakes in the concrete drains we spent more time in the citrus groves checking the interiors of the ones we could find. 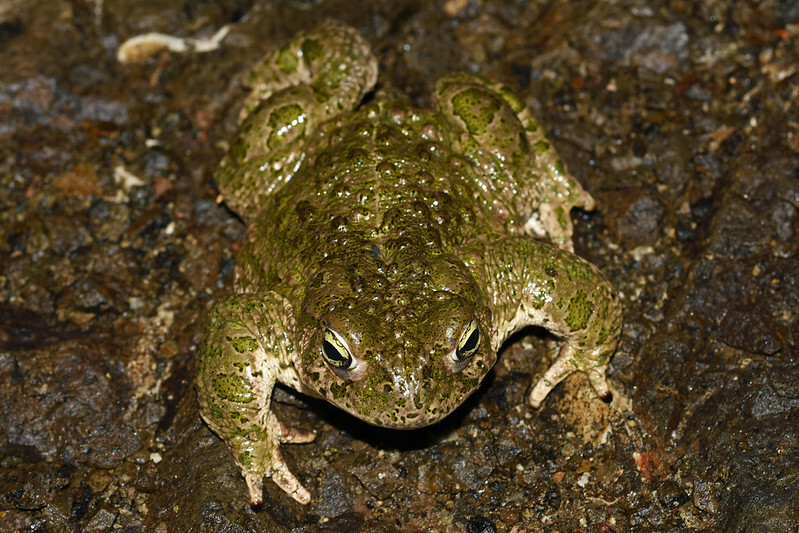 Many were inhabited by Iberian Water Frogs. 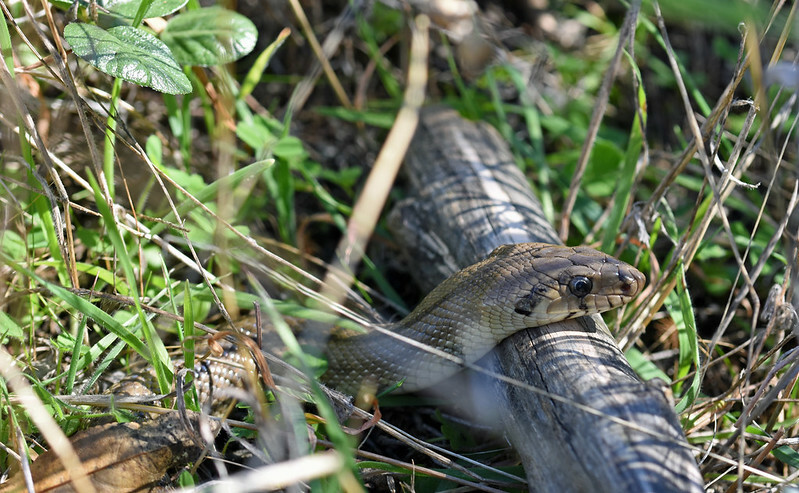 We found a total of six Montpellier snakes that were unable to free themselves from the deep drains. One was already drowned but the others we were able to release. 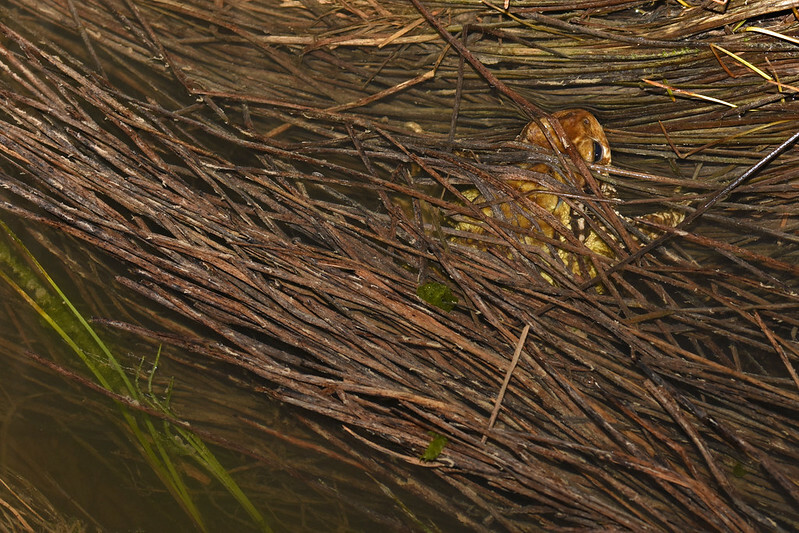 There were also terrapins captive in some of the drains which had partly flooded. The only thing we could practically do for them was to build makeshift ramps that gave them a way out when they resurfaced. Of the terrapins we actually saw, all appeared to be red-eared terrapins. 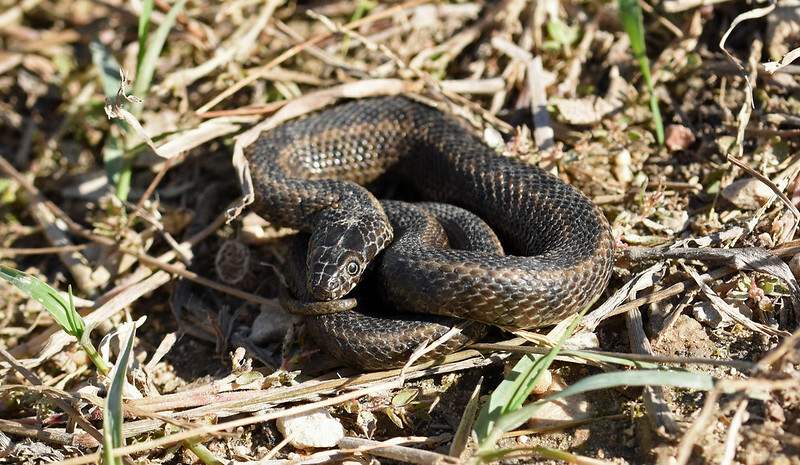 Western Montpellier Snake as found and on release. 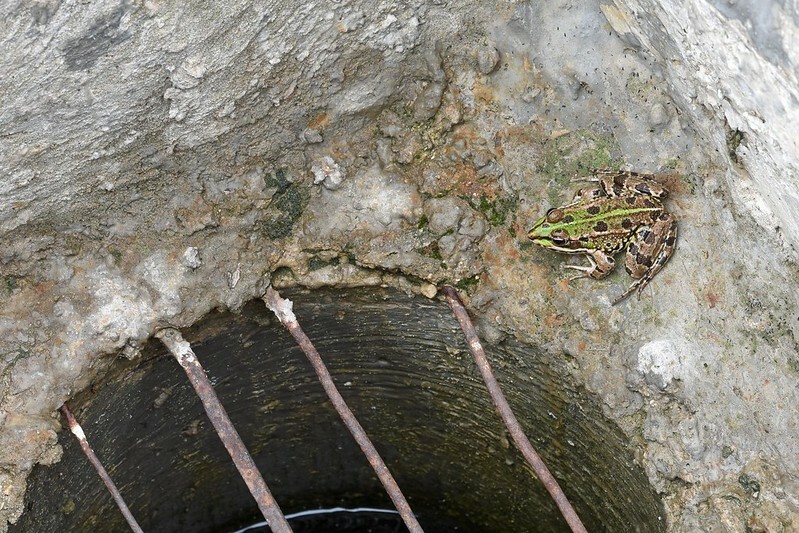 I collated the information (location, dimensions, species) and forwarded it all to Timon Herpetological Association who are currently doing some research into the problems caused by the open drains in Valencia province. 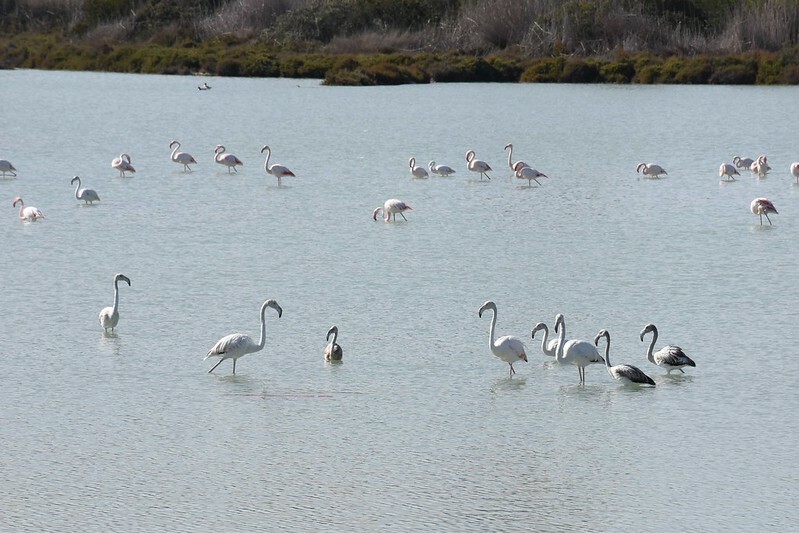 An outing to Calp on the coast to the south gave some fine views of Greater Flamingos on the lagoon behind the beach. 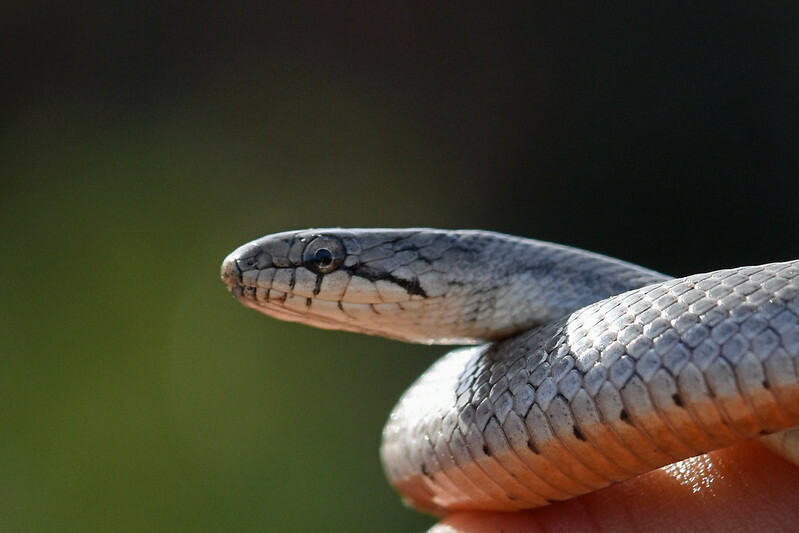 It also provided our only Southern Smooth Snake so far. 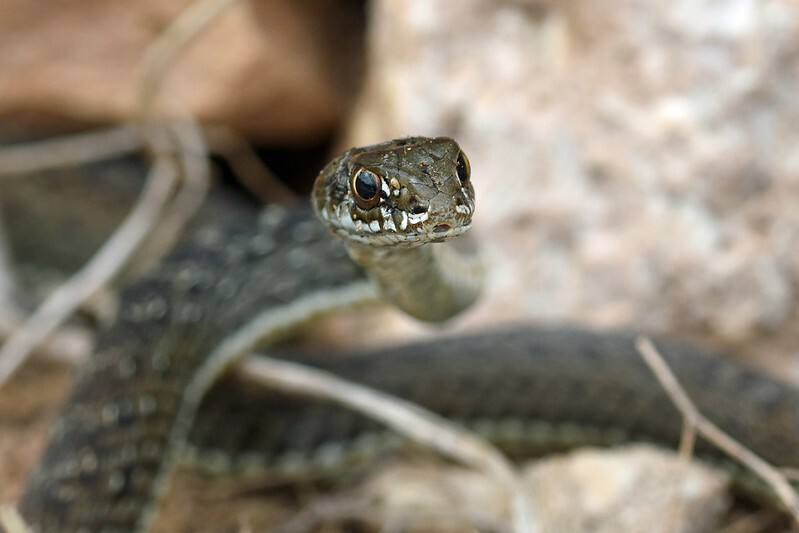 A juvenile found by flipping stones. 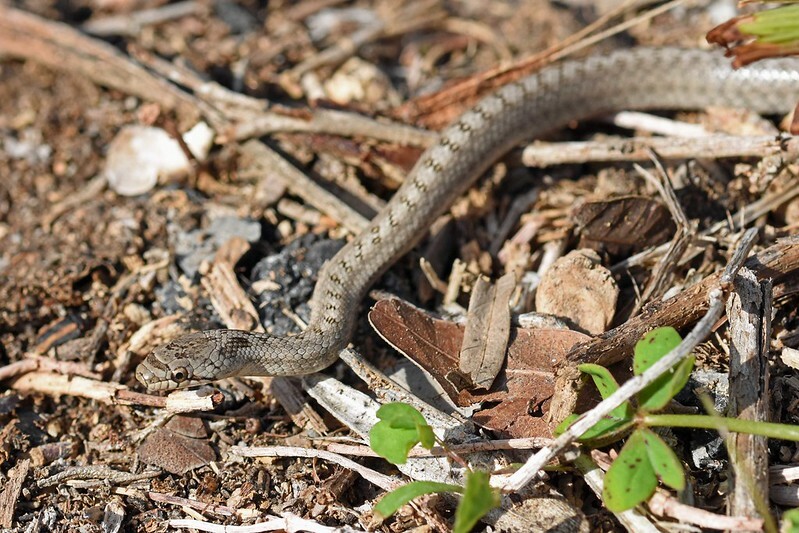 An adult Ladder snake also turned up under ground cover on the Cabo San Antonio headland near Javea. 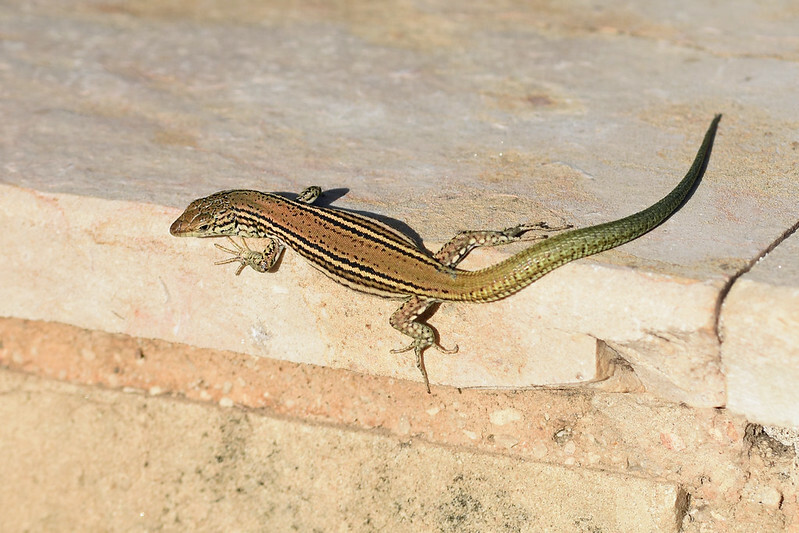 Catalonian Wall Lizards are still out basking in suitable weather. 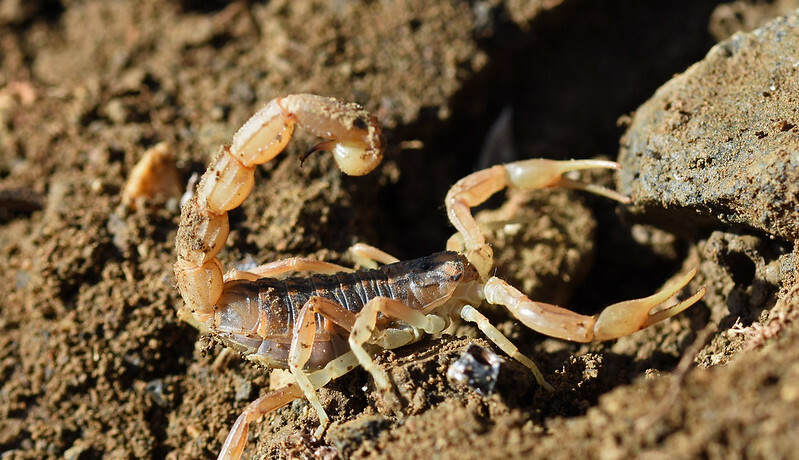 One particularly dark sided individual was photographed on the outskirts of Oliva. 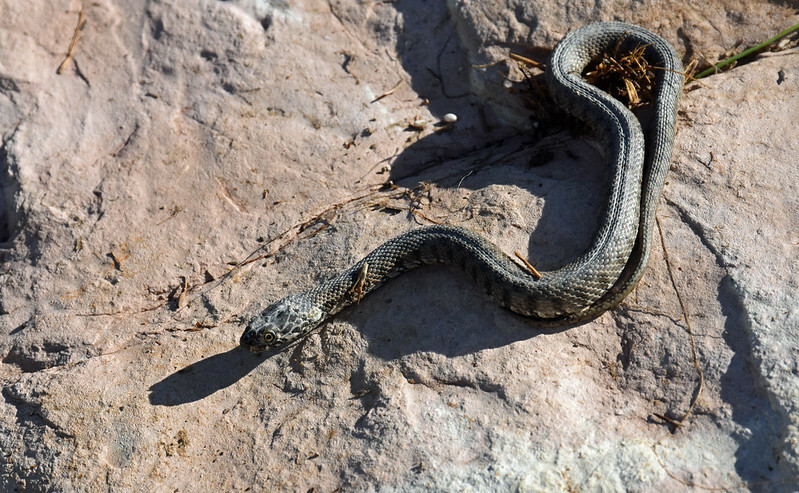 The Viperine Snakes that had previously been seen among the river boulders waiting in ambush slowly began to disperse and the last sighting of one was made in mid November. 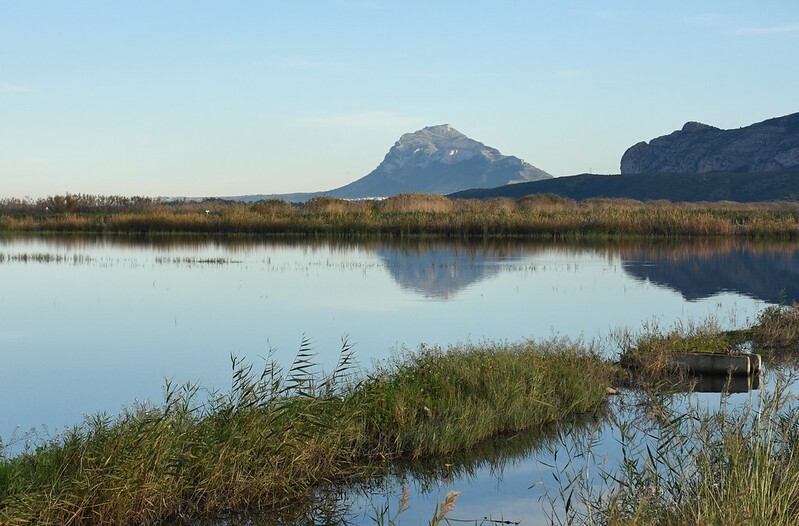 However the species still could be found in the ditches and along the path sides at the Pego-Oliva Marshland Reserve a few kilometres away. 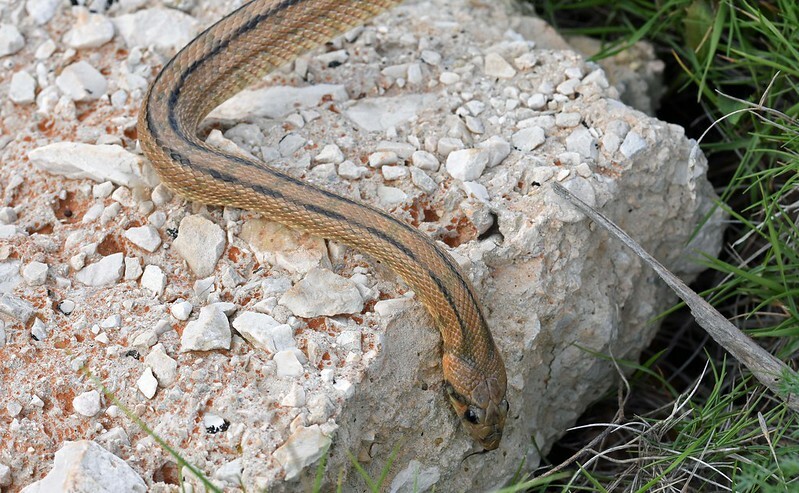 One individual actually crawled across the path right in front of us with a small eel clamped in it’s jaws. 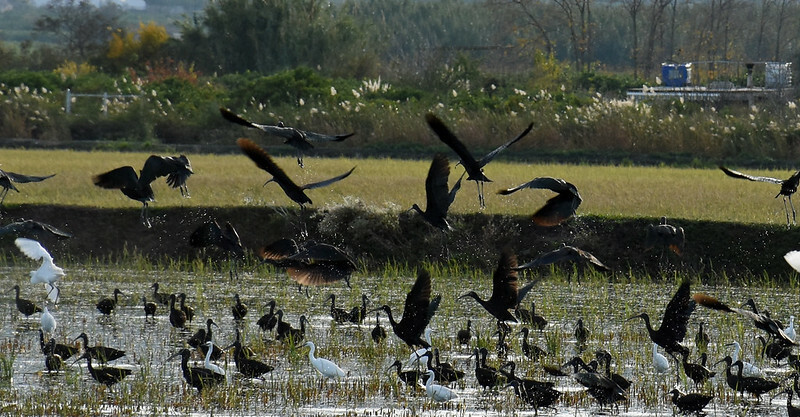 The flooded rice paddies on the reserve also attracted large flocks of Glossy Ibis and Great White, Cattle and Little Egrets. Osprey, Booted Eagle and Marsh Harrier were often seen. 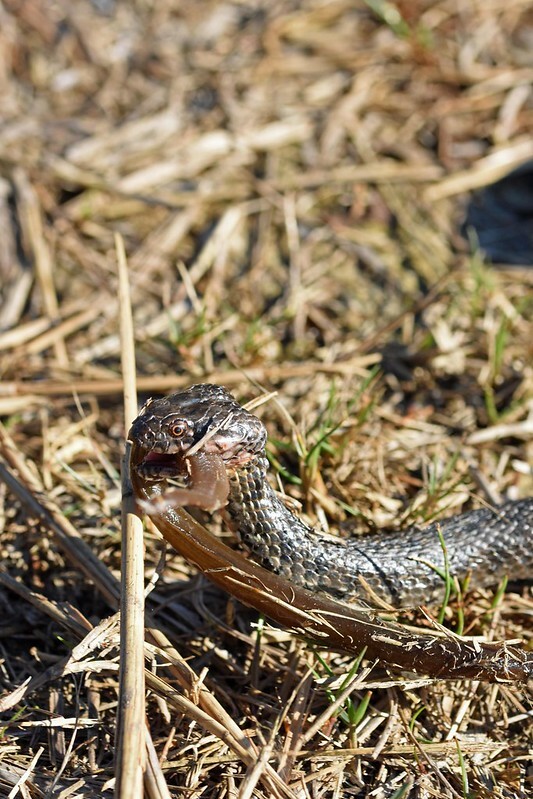 Viperine Snake (Natrix Maura) with eel. 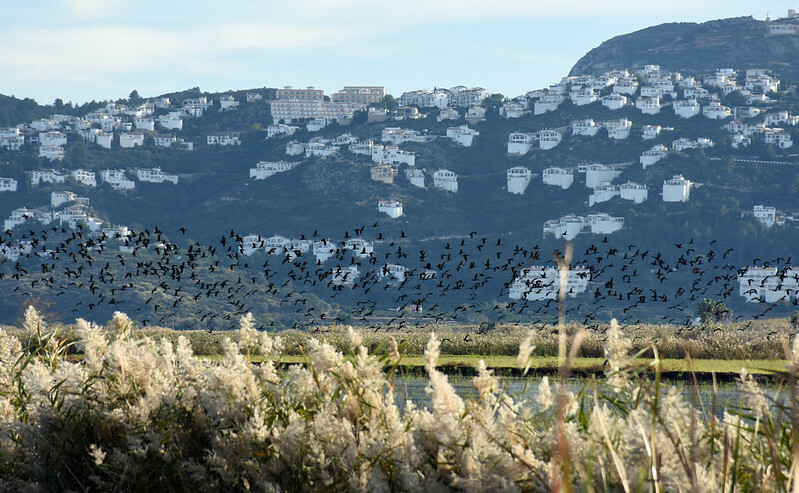 A congregation of Glossy Ibises. Glossy Ibis and Little Egret. 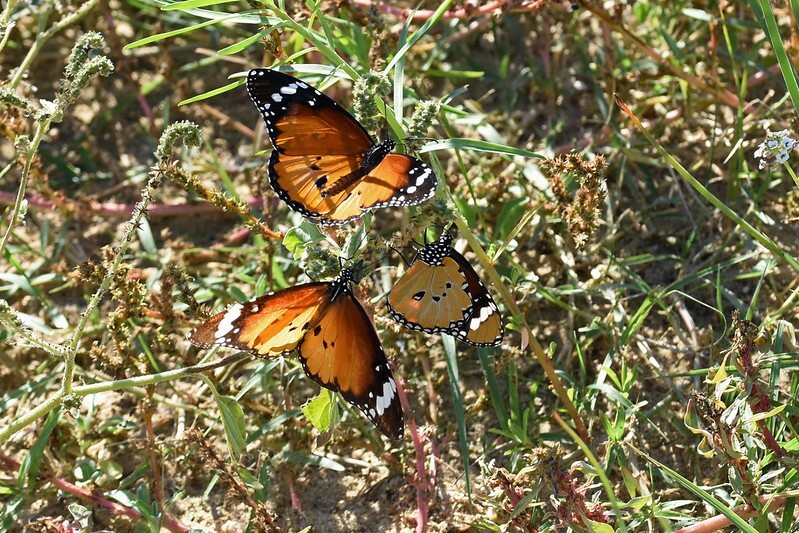 Other sightings worth mentioning have included several Monarch Butterflies (Danaus plexippus) in courtship flight among the sand dunes. 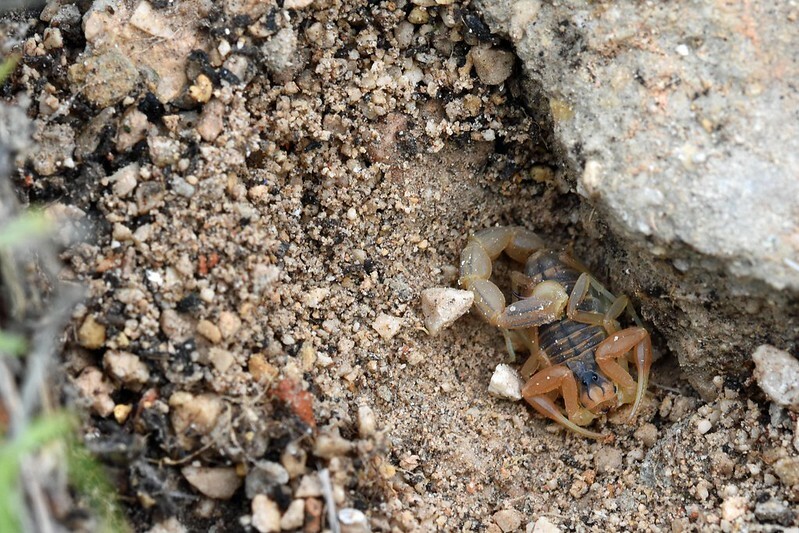 Also a glut of Common Yellow Scorpions (Buthus Occitanus) turned up one after another under rocks and stones. 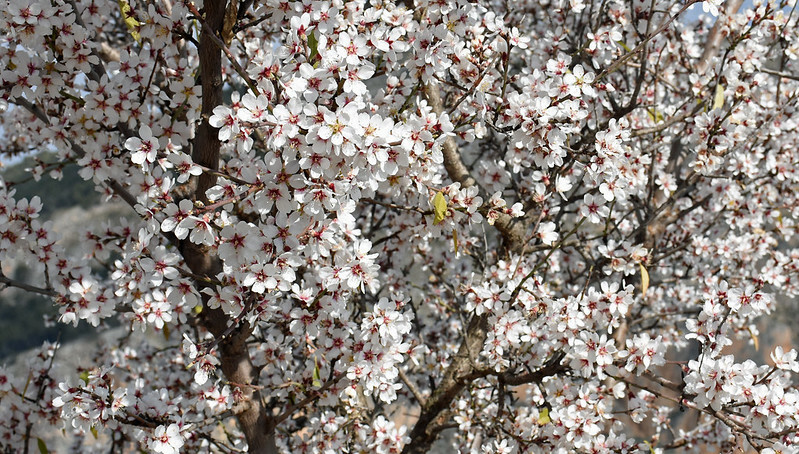 Anything that turns up in the next two months I will tack on to the end of this post. Thanks for looking. Nice series! Should be Danaus chrysippus, imho, though. Thanks for the butterfly ID Jeroen. 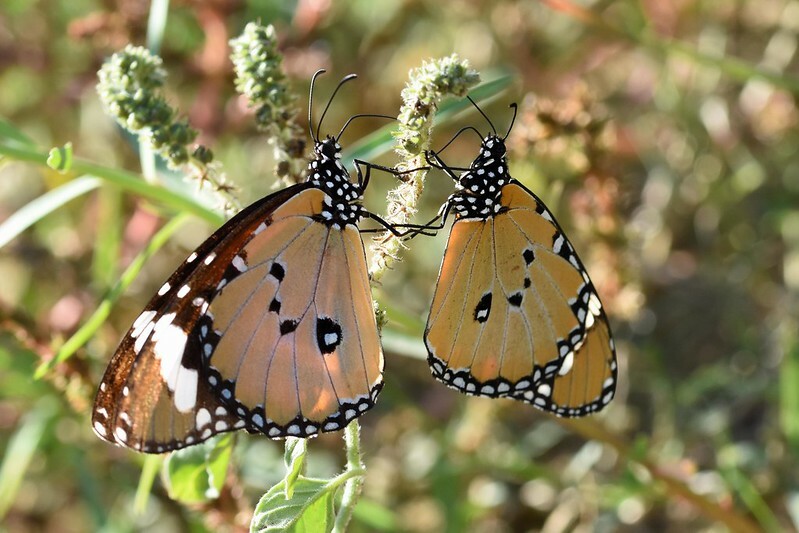 It always played on my mind that the butterflies I had seen didn't seem to have the dark lines of Danaus plexippus. I thought they may have been a bit weather beaten - end of the season look, but now I know why. 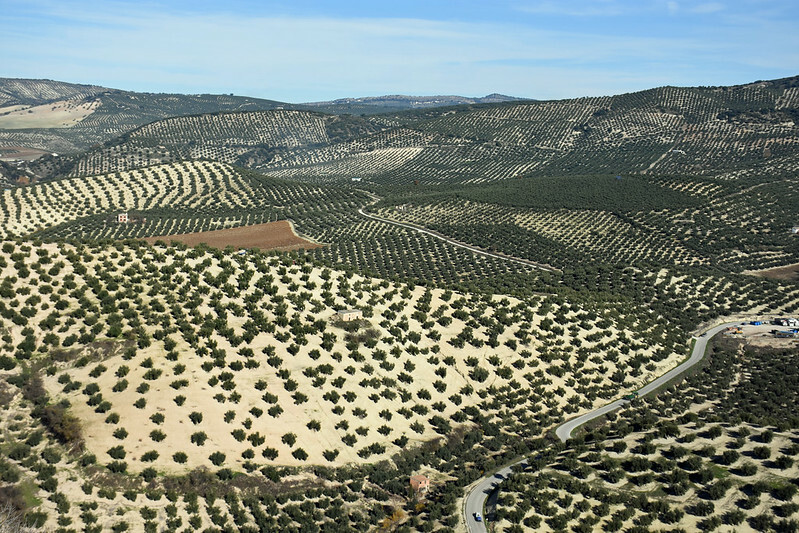 Our base at present in Cordoba province is 1000 metres asl. The height allows us some beautiful views but night time temperatures drop away as soon as the sun begins to dip. Towards the middle/end of December there have been half a dozen overnight frosts. 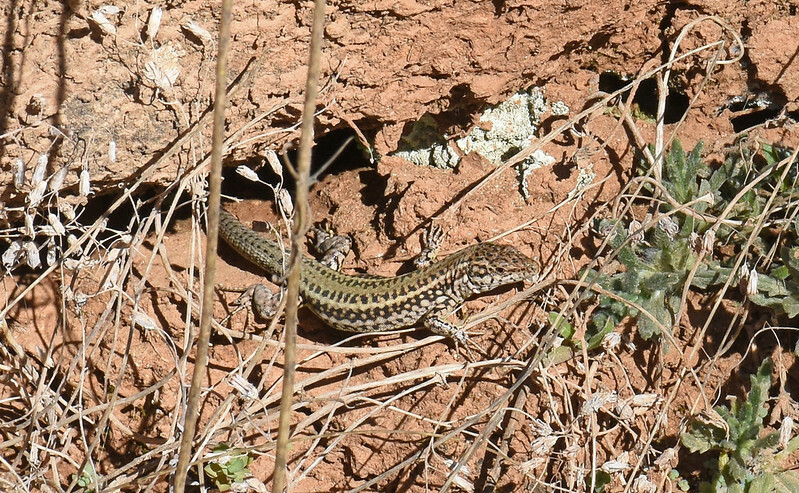 Together with the sterile monoculture of the vast fields of olive trees there has been little opportunity for reptile spotting. 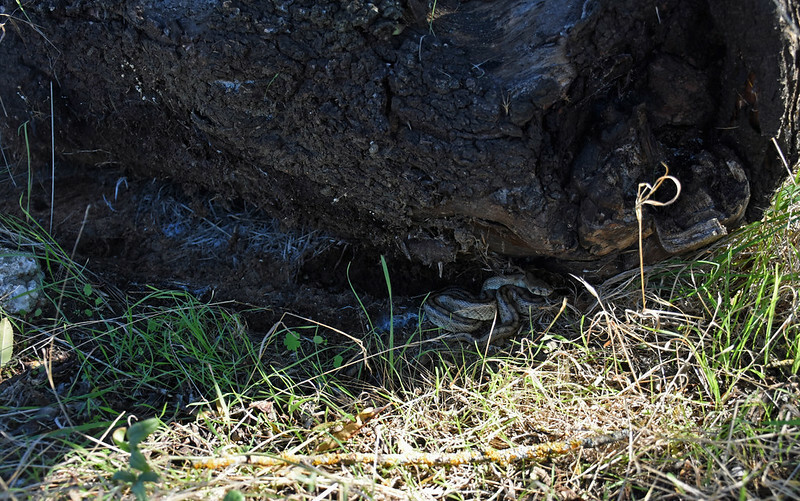 On 5th December an adult Ladder Snake (Zamenis scalaris) was spotted coiled under a fallen tree branch on the edge of a sunny patch of hillside behind the house. 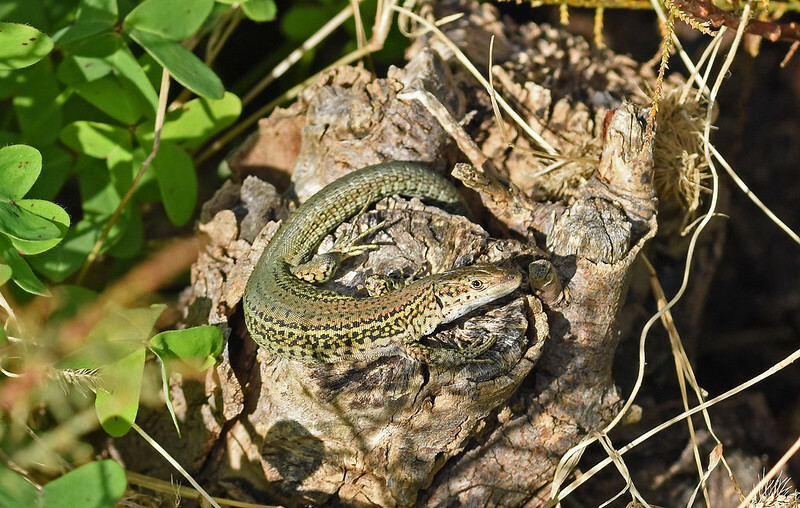 I watched as it slowly moved out of the shade of the hiding place and into the sunshine to bask. 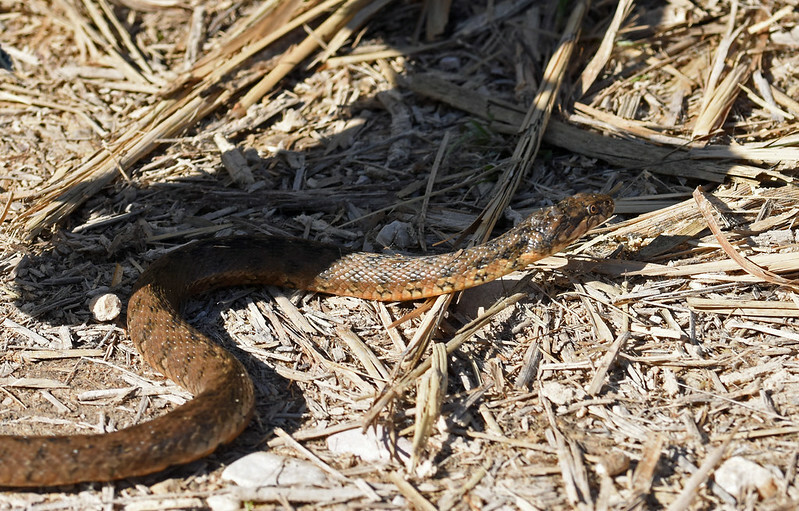 The final snake for the year was a small Viperine snake that was found near a natural spring, in a marshy field. 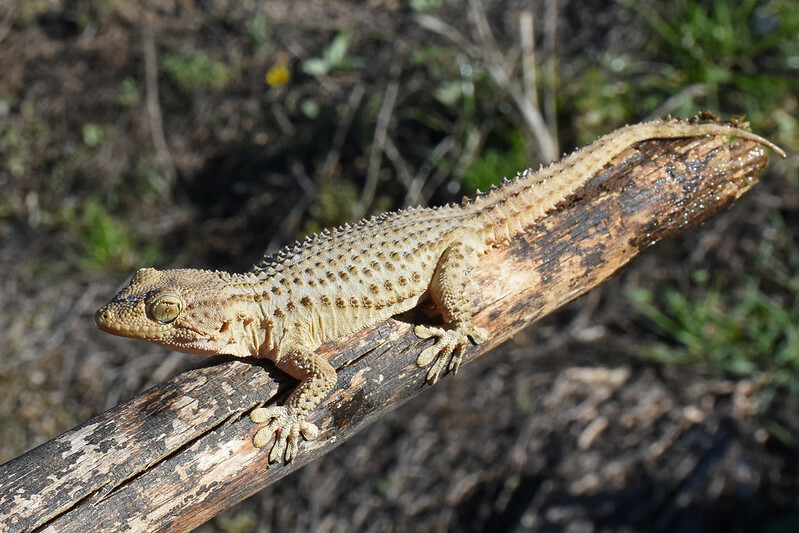 Moorish Geckos are still seen but no other lizards are visible basking in the area. 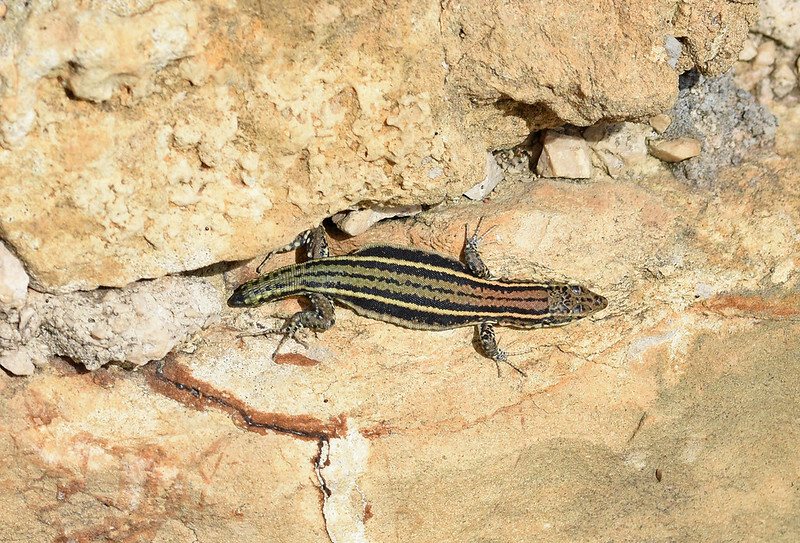 Slightly further south in Granada city centre, Vaucher’s Wall Lizards are still active, but only juveniles. 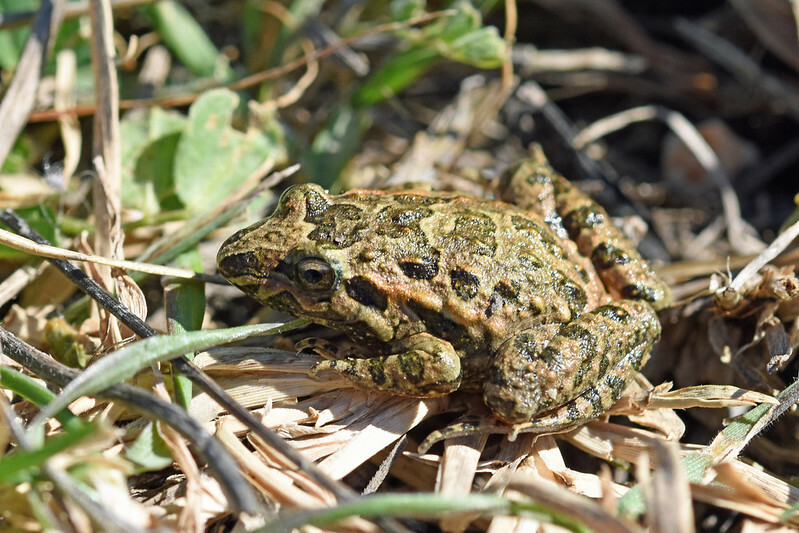 Natterjack Toads have been in evidence under stones during the day and spotted at night around the few standing puddles in damp areas of the fields. 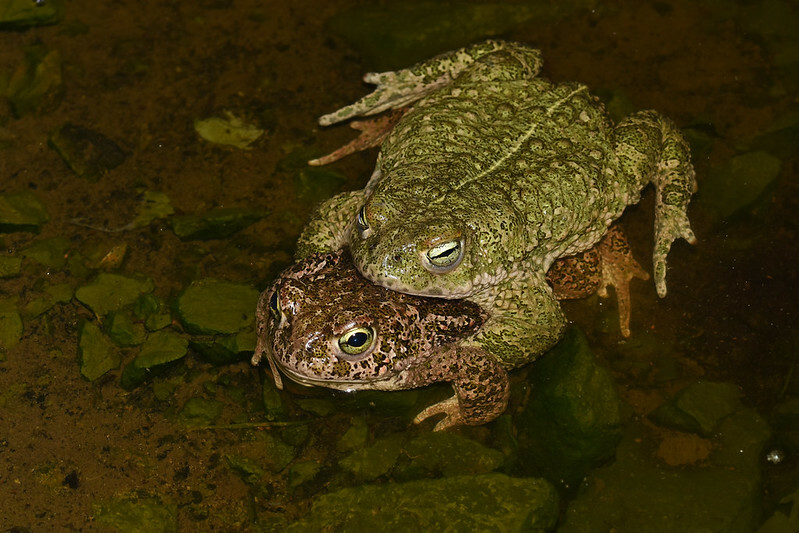 With only a couple of light daytime showers during December the chance to have a proper search at optimum times for courting amphibians is still to arrive. Despite frequent night time searches of streams and ditches, still no sightings of newts (Triturus pygmaeus/Pleurodeles waltl). 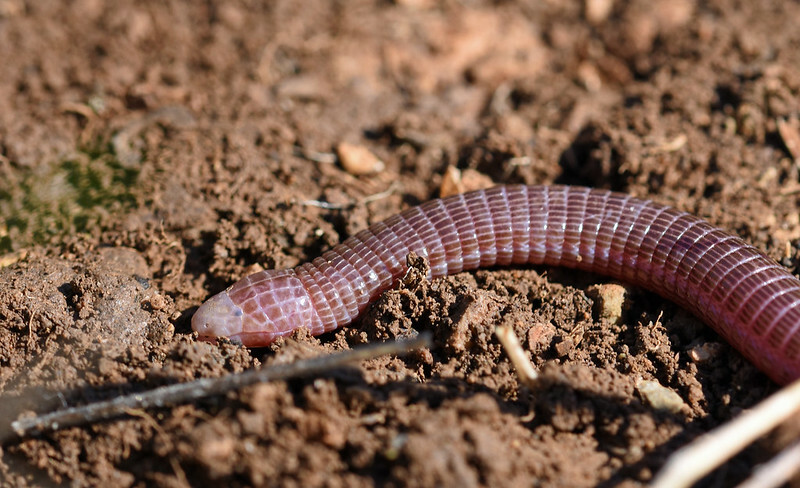 I think we are too far south for Lissotriton boscai and are also in the central wasteland that is devoid of Salamandra salamandra. I think that just about wraps up my Spanish year. Looking back to the start of the post makes it feel as if a very long time has passed. 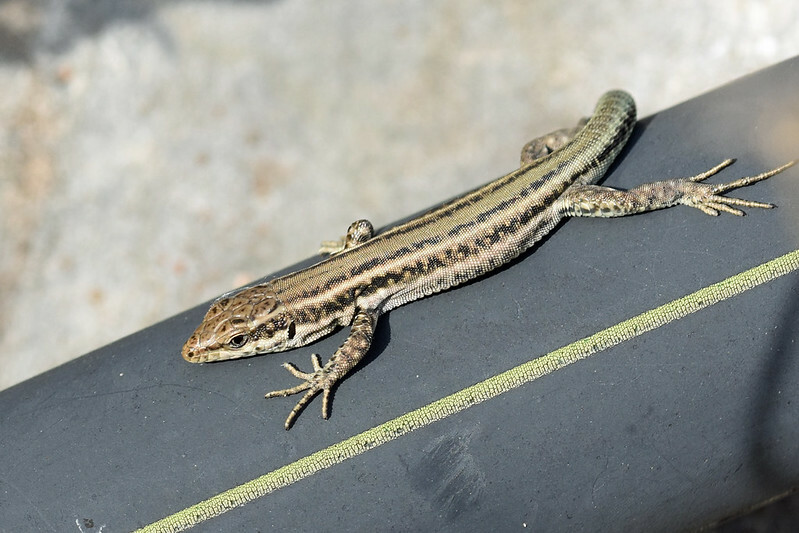 My wife and I will be back in the UK by mid February, no doubt missing Spain and it's wildlife. Mountains of the Sierra Nevada National Park. Really enjoyed reading these updates and seeing the variation in seasonal activity. Nice in-situ stuff as always. Looks like you stayed in some pretty nice places - bet you can't wait to get back to the UK whenever that may be? Our Spanish visit was unexpectedly extended by three weeks. 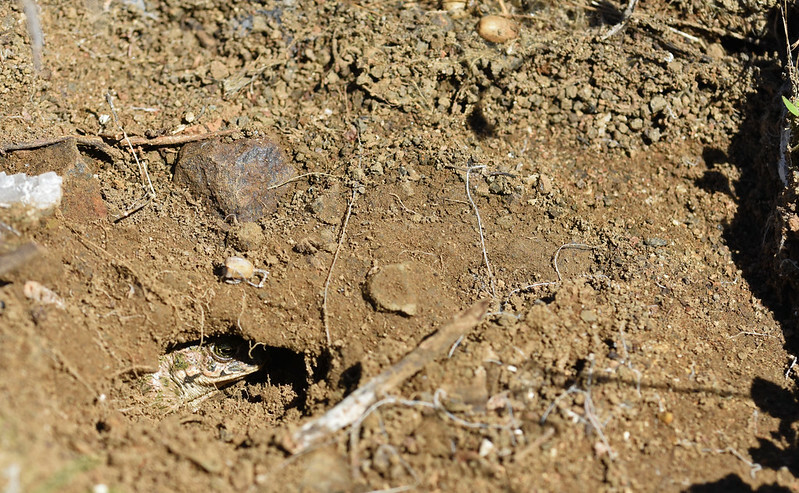 The significance of this being it allowed us to witness the start of the local amphibian breeding season. 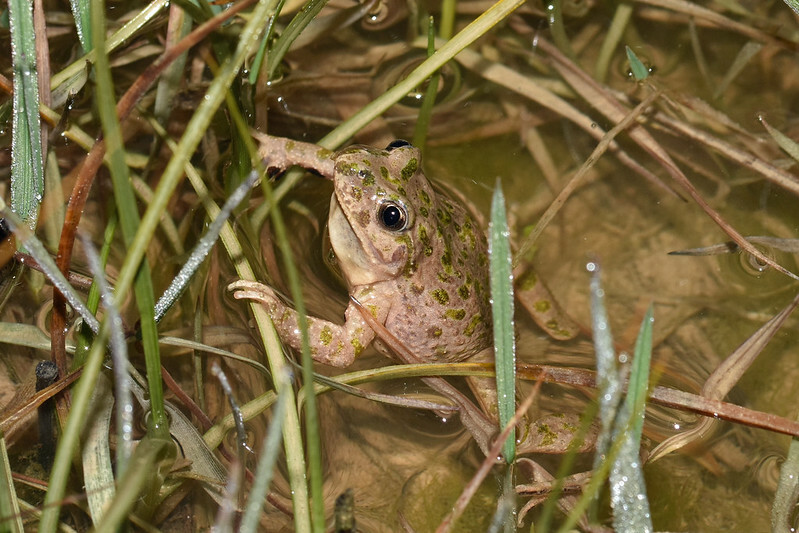 There was little rainfall but a few shallow puddles and a partially flooded field proved an attraction for the frogs and toads. Daytime and night time temperatures rose by a few degrees. 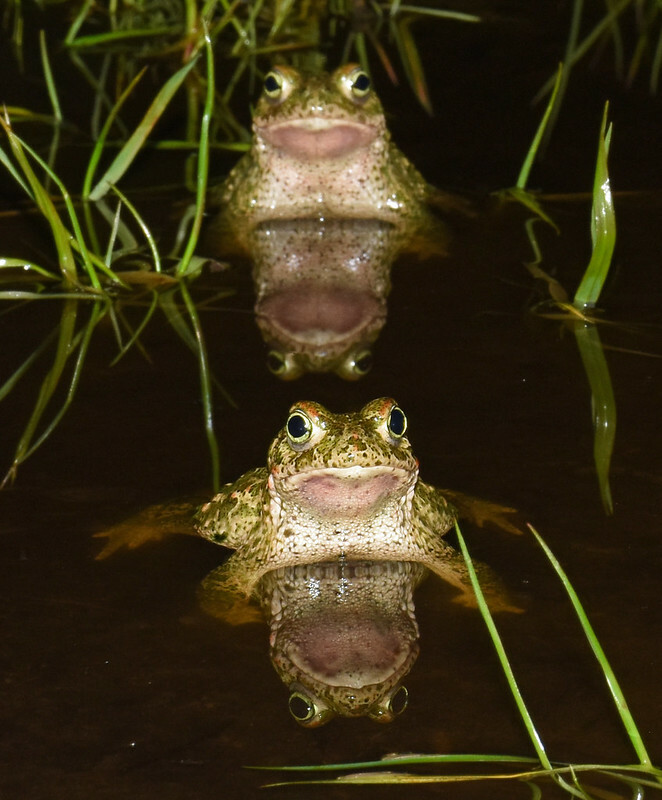 Male Natterjack Toads (Epidalea calamita) appeared sitting in the puddles and after a couple of nights the numbers had increased and some began calling. 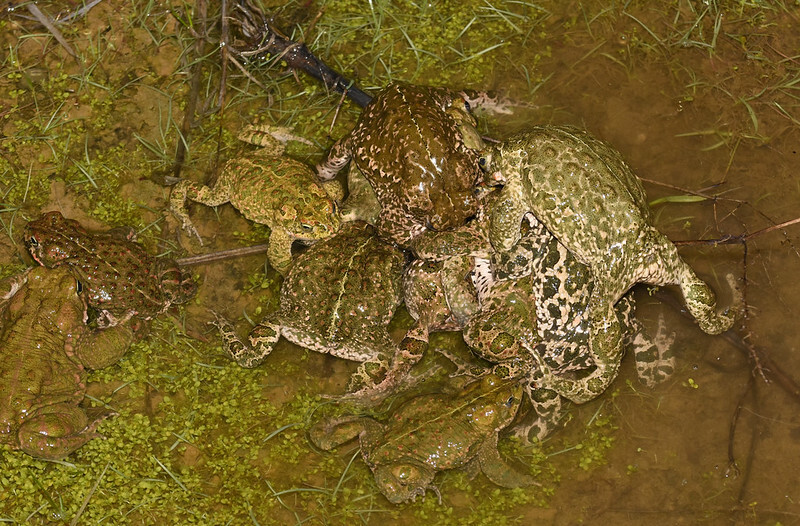 The early females at the breeding site were engulfed in a ball of croaking males. 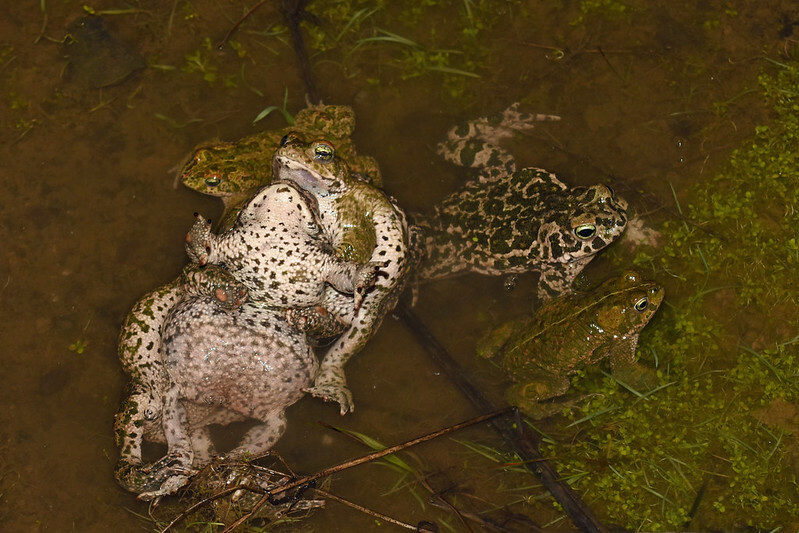 Every successive night more females began to turn up and the free for all gave way to amplectant pairs in the shallow puddles. The deepest puddles, and presumably coldest water, were barely used for spawning, most pairs choosing the shallow water areas. 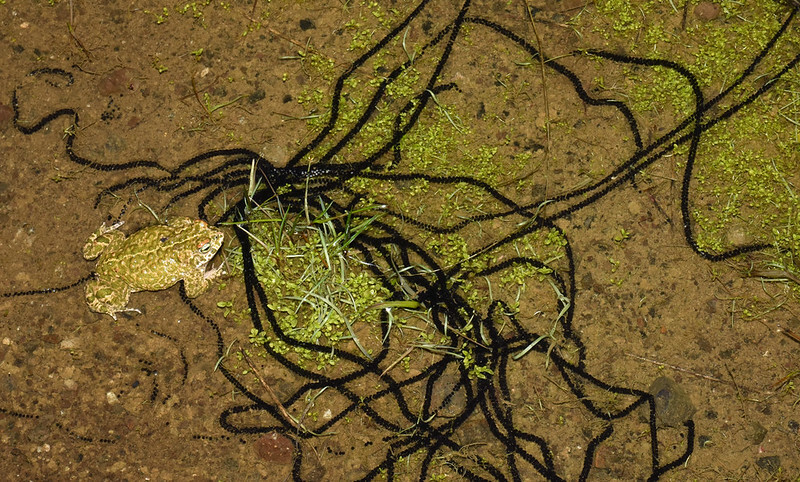 Many of these puddles evaporated in the warming, sunny days and the spawn perished before the tadpoles appeared. Around a mile from our home was a low lying field with a couple of streams running along two of the edges. 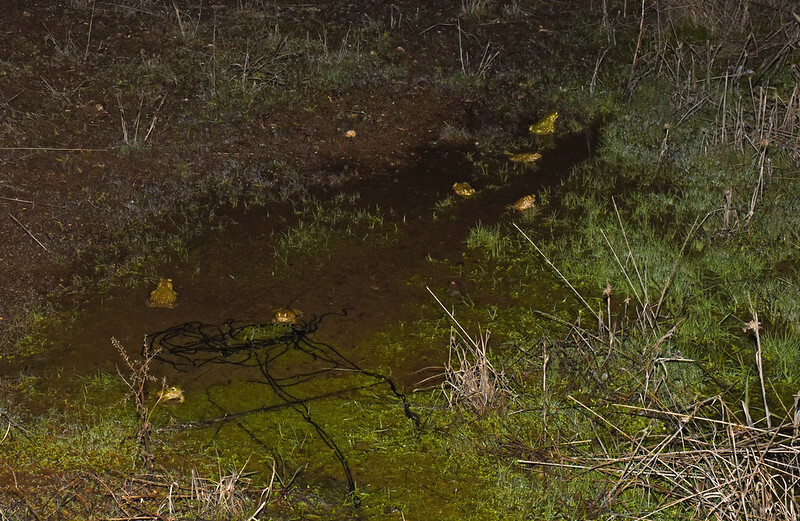 The lowest area flooded to a depth of a few inches and attracted lots of calling Natterjacks. 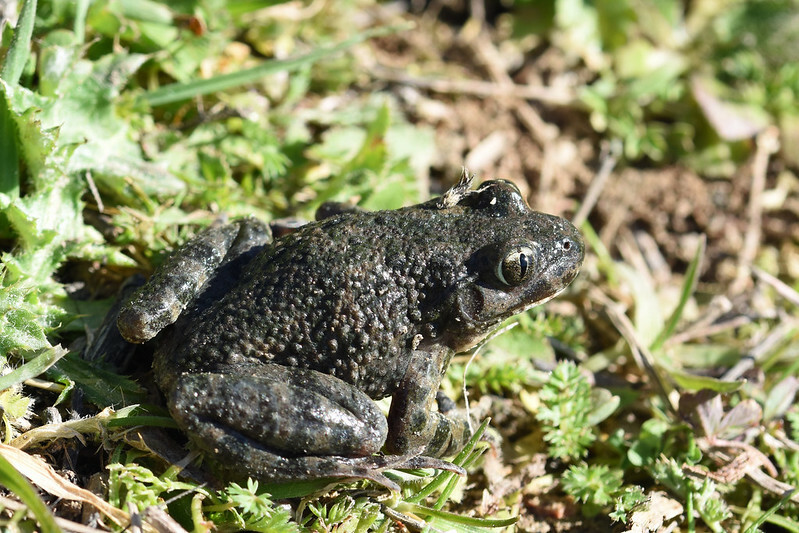 Also Iberian Parsley Frogs (Pelodytes ibericus) could be heard giving their call likened to squeaking shoes or a cork being pulled from a bottle. 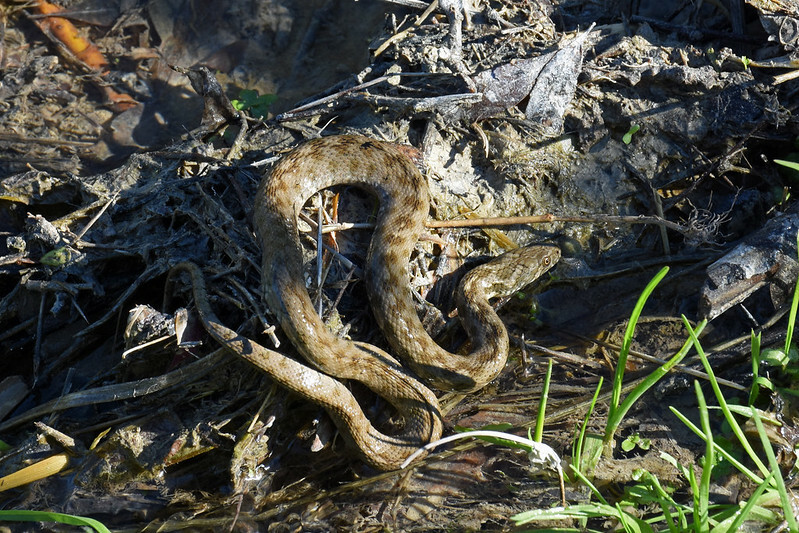 They were difficult to locate due to their habit of calling with only their heads out of the water in well vegetated areas. On approach the males stopped calling and slipped below the surface. 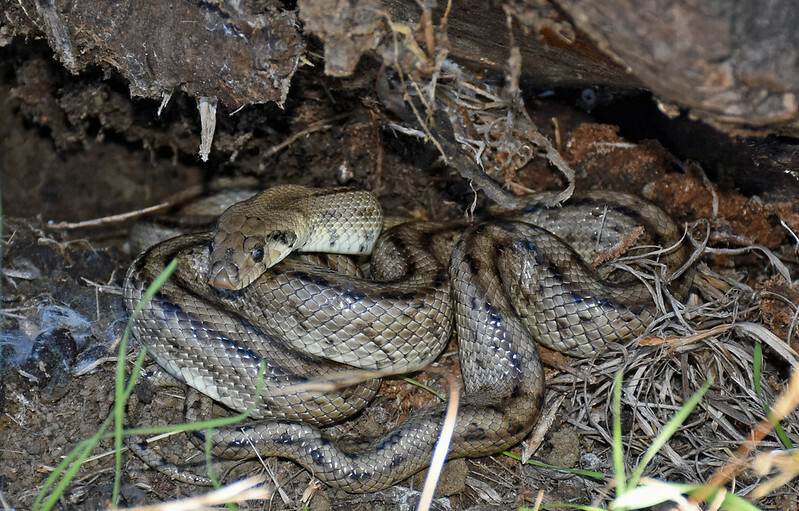 This resulted in long periods for me standing in the pitch dark in knee deep mud waiting for them to begin calling again. I was more than happy to get any of photos of them. 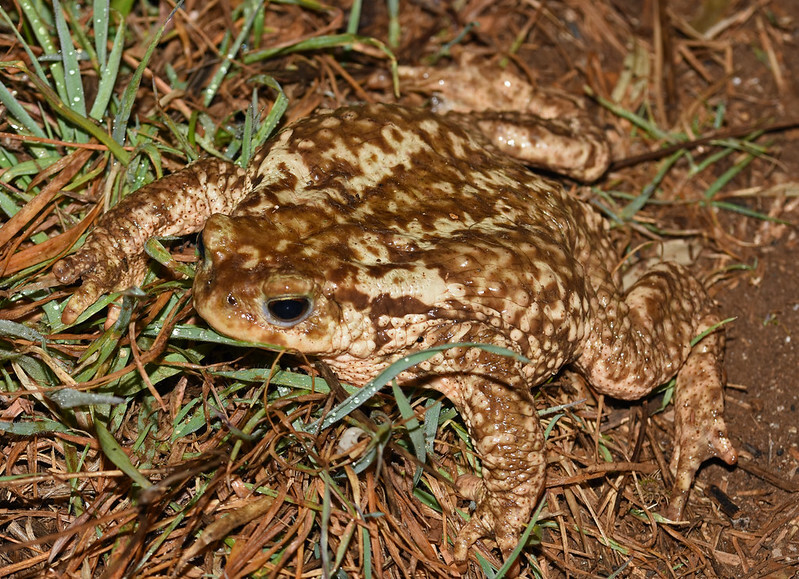 Pairs of Spiny Toads (Bufo spinosus) were located in the streams and some big females also turned up on the roads. 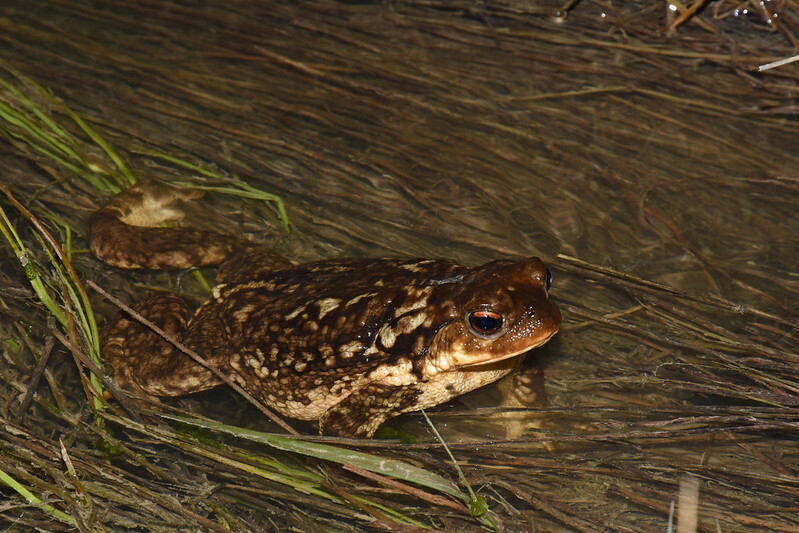 Also Iberian Water Frogs (Pelophylax perezi) sat around the stream fringes but no calling males or apparent breeding behaviour. Large female B.spinosus rescued from the road. 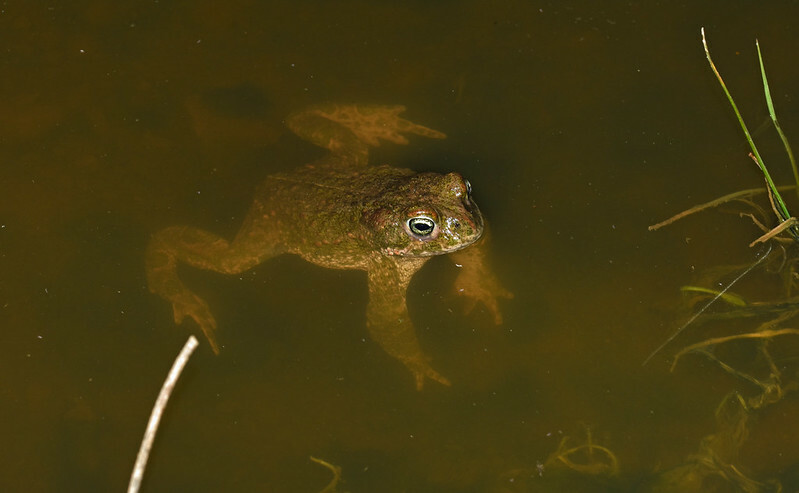 Originally thought this was a single toad but on closer inspection turns out to be a pair in amplexus. 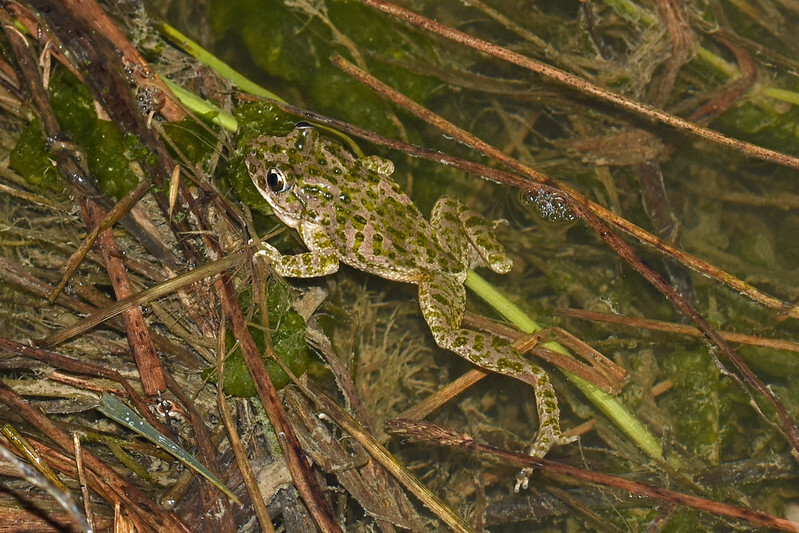 A visit to the nearby Sierra Subbeticas Natural park on a warm afternoon resulted in sightings of many juvenile Iberian Painted Frogs along stream edges. 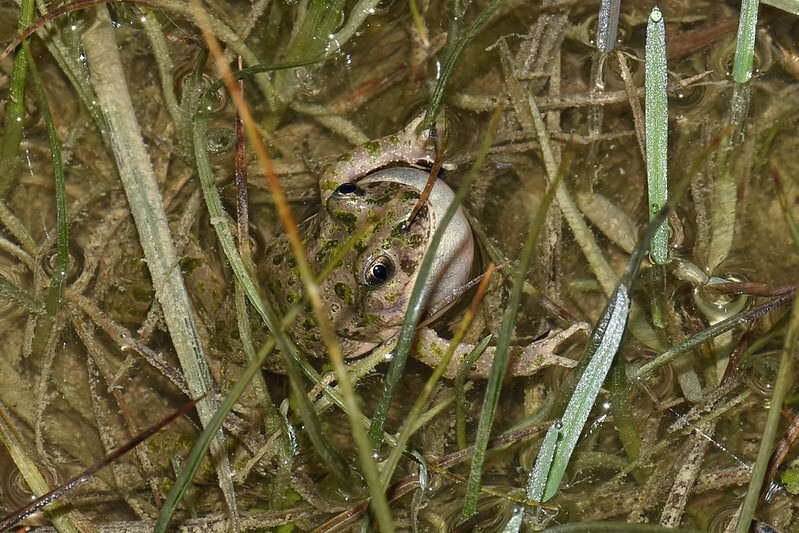 Lots of Parsley frogs calling during the daytime in a flooded field. 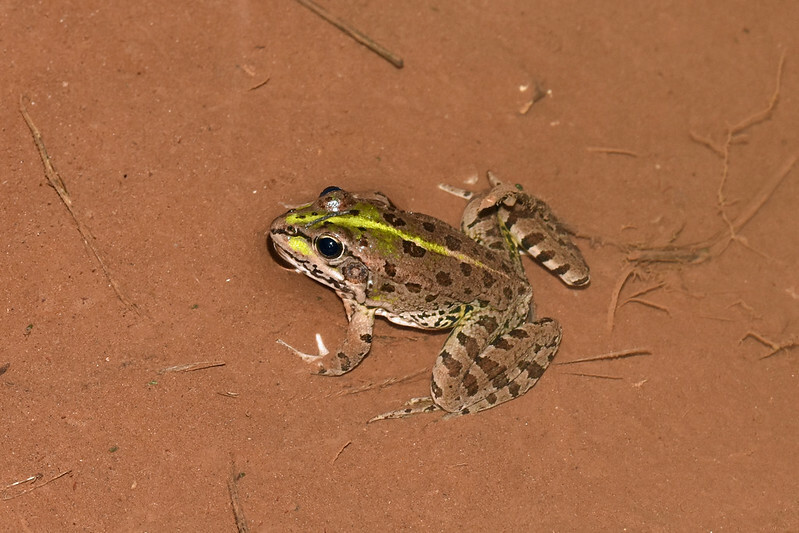 One frog found was much darker than those found nearer to the house. 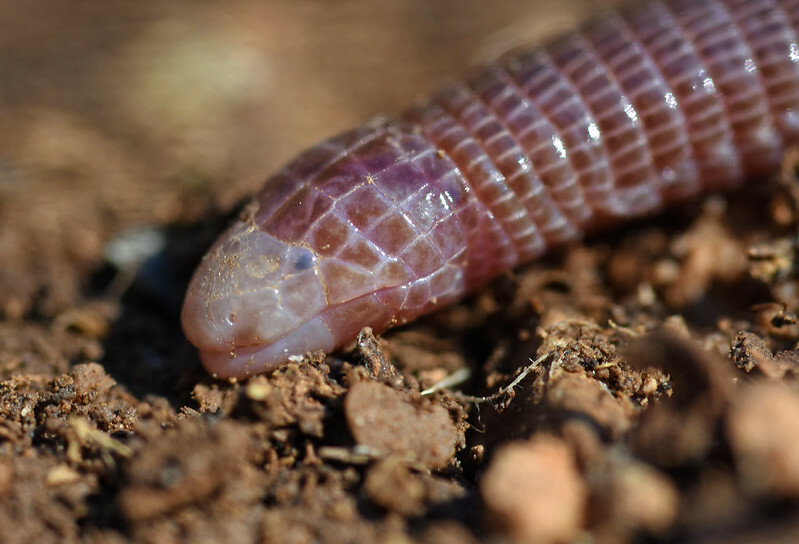 A muddy Iberian False Smooth Snake (Macroprotodon brevis) was spotted basking among stones at a field edge and also a young Viperine Snake (Natrix maura) was found hunting along a stream. 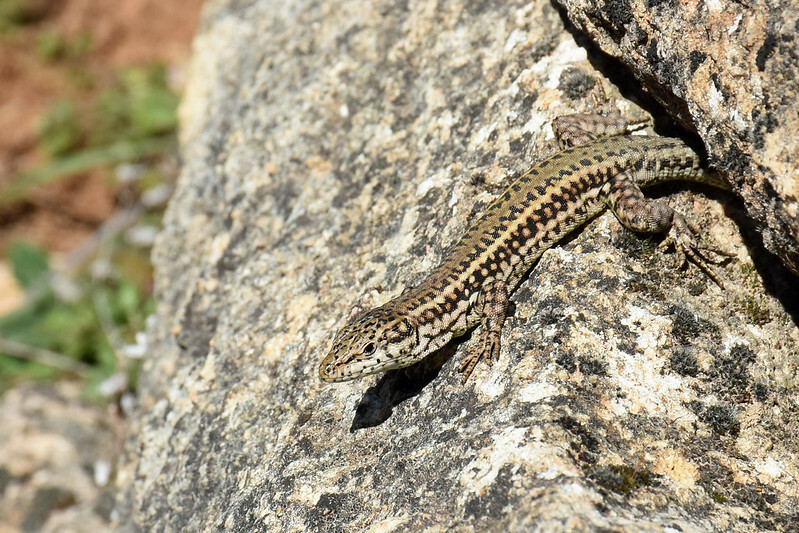 Vaucher’s Wall Lizards (Podarcis vaucheri) were spotted on broken walls in the nearby town of Alcala la Real. View over Alcalá la Real. 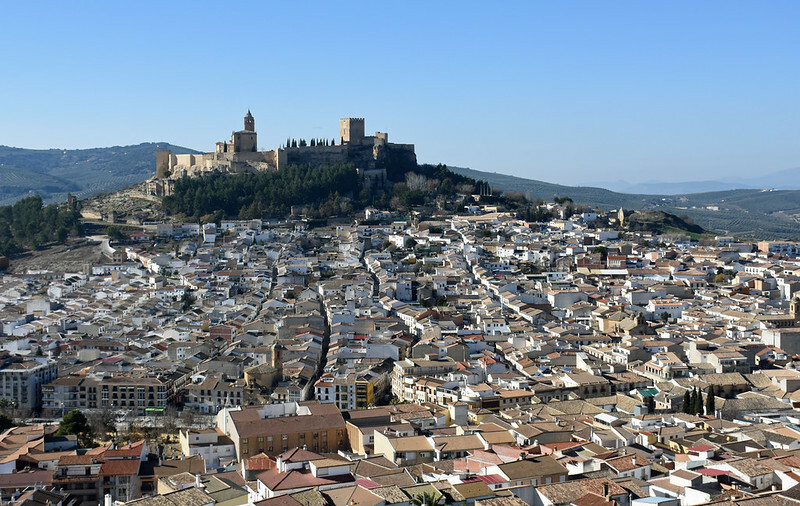 When finally moving on from our base in Cordoba Province we opted for a couple of nights stay in Malaga before our flight back to the UK. It gave me a chance to revisit my favourite local nature reserve, which is pretty much where this report started over a year ago. 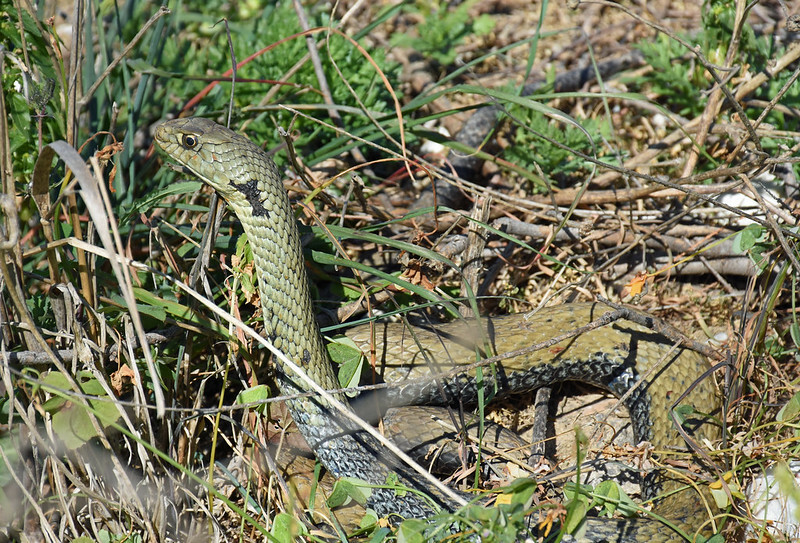 Horseshoe Whip Snake (Hemorrhois hippocrepis) were still using the flood defence boulders for basking. Two spotted, one photographed. 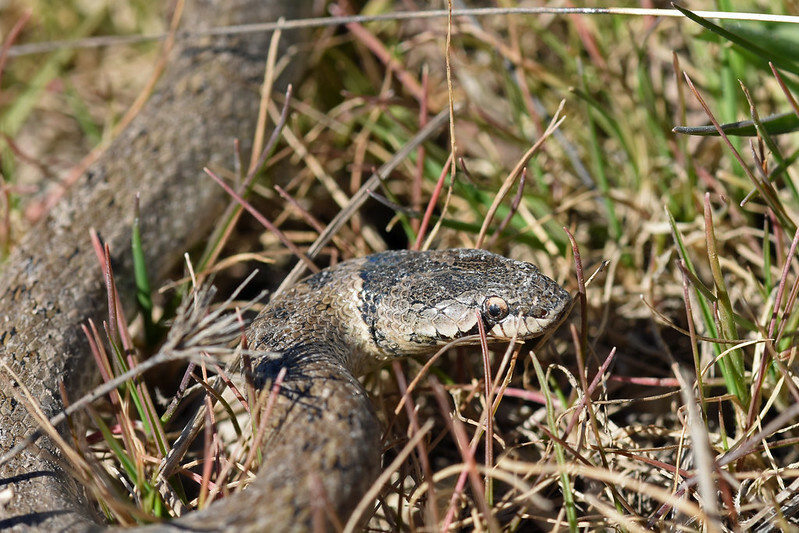 I also spotted a large male Western Montpellier Snake (Malpolon monspessulanus) in the area I had often watched one on previous visits. 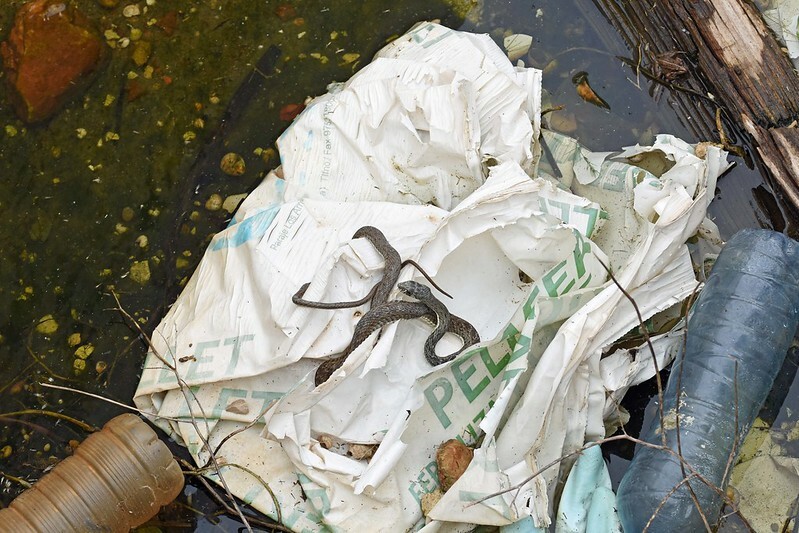 Impossible to say, but I like to think it was the same reptile. Last year it was very flighty and difficult to approach. This time I spent around an hour in it’s company as it basked at the paths edge, sitting tight but in clear view of many passersby on the gravel path. 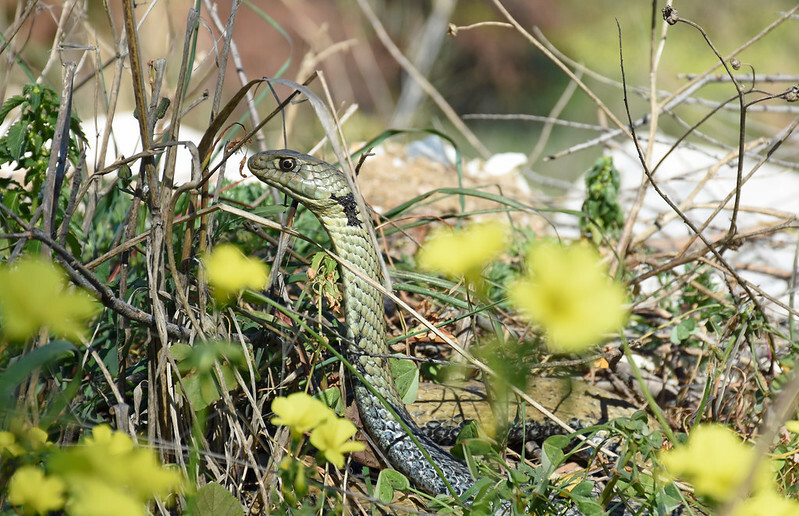 It tolerated me sitting very close to it’s basking spot and I was able to get some nice photos of it raising up to see what was about. 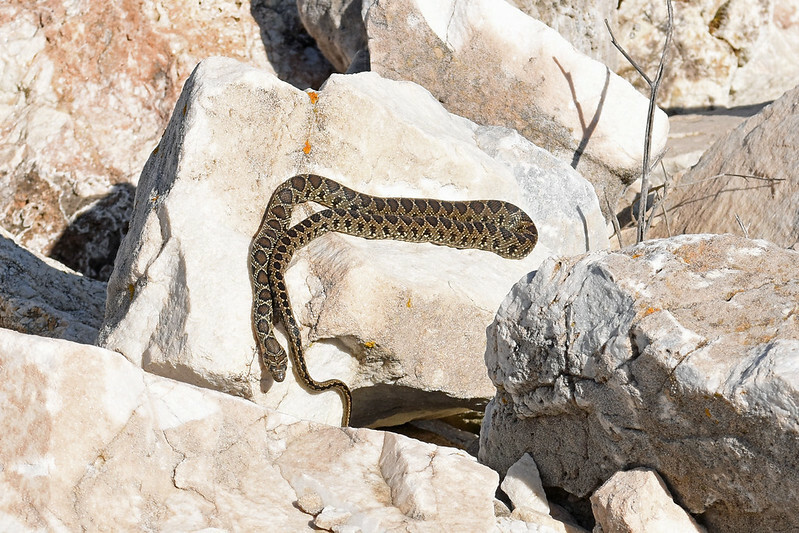 Eventually the snake moved slowly off through the boulders and out of sight. A great way to end my Spanish adventure. 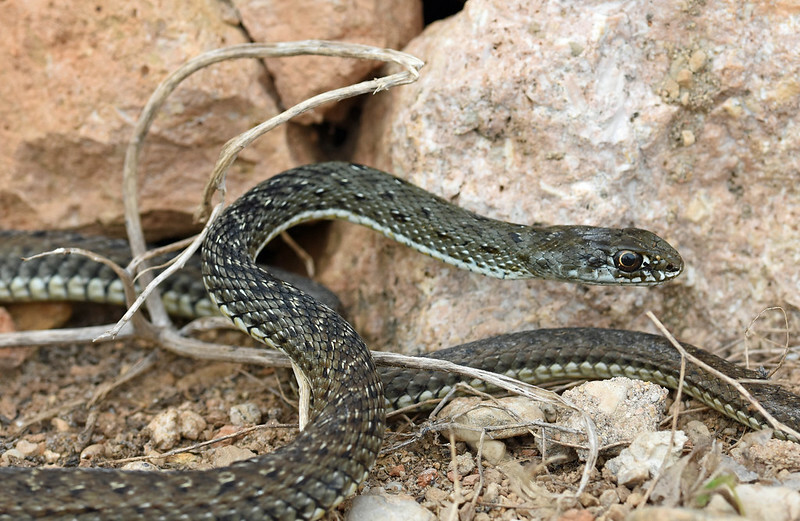 I saw Horseshoe Whip Snake in very similar habitat but in Fuengirola. 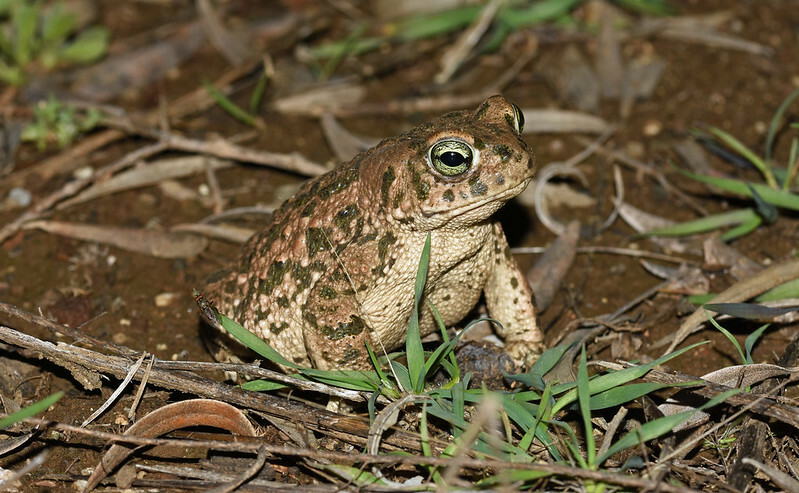 natterjack toads make great subjects. Excellent post! Thanks for that.